Philadelphia, PA; Beijing, China: With the U.S. – China relationship top of mind among business leaders worldwide, the Penn Wharton China Center is launching three timely new conferences for executives in Beijing with support from the Wharton School of the University of Pennsylvania. Presented by renowned Wharton experts, the three highly interactive conferences focusing onenture capital, private equity, and pricing strategies offer executives from the region cutting-edge financial insight to enhance their global leadership capabilities and business acumen as they navigate a turbulent global market. These latest executive conferences—an integral component of the Wharton School’s activity as the premier innovator in global business knowledge—will benefit China’s business leaders as they continue to grow in the world market. Presented by Private Equity Professor Bilge Yilmaz, Adjunct Professor of Finance David Wessels, and Lecturer Vinay Nair, “Venture Capital” explores the strategies that top venture capitalists use to source, screen, and value superior investments. The conference also discusses approaches to critical due diligence that can uncover pitfalls and mitigate deal risk. “Private Equity: Investing and Creating Value” shares insight into the strategies that highly successful private equity firms use to structure and finance deals, and create value for their investors. Led by Yilmaz, Nair, and Associate Professor Bülent Gültekin, conference attendees will explore the key drivers in private equity and gain a better understanding of the skills critical to evaluating investment opportunities. “Pricing Strategies: Measuring, Capturing, and Retaining Value” presents new approaches to the pricing process. Marketing Professor and Vice Dean Jagmohan Raju and Penn Wharton China Center Director John Zhang will discuss processes for developing strategies that leverage analytics and customer data to create maximum value and increase their firm’s bottom line results. 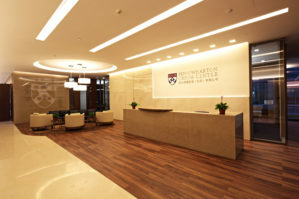 Opened in 2015, the Penn Wharton China Center (PWCC) represents the Wharton School and the University of Pennsylvania’s substantial commitment to advance their long history of engagement with China. The PWCC provides support for the initiatives and collaborations between Penn’s 12 schools and many academic, government, and business partners throughout China. The PWCC enables Penn and Wharton to facilitate research, enhance alumni and client connections, and share Wharton’s impact upon business practices in China and around the world.